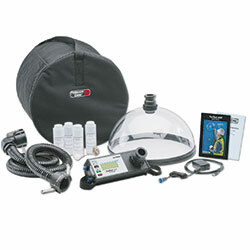 The Leak Tightness Checking Device PosiTest Air is able to trace lowest leaks of air and water. During the surface treatment with the Leak Tightness Checking Device it should be checked if there is a leak. The device is used for different applications. It also can be inserted at ruins as at the tightening of different construction elements. In doing so it is possible, that the Leak Tightness Checking Device can be used in single- and two-layer membrane. Because of the different modi the Leak Tightness Checking Device is a manifold applicable device. It can be used in automatically mode as well as in manual mode. If the Leak Tightness Checking Device should be used in automatically mode, the device reduces the pressure within the test chamber, after the user has appointed the decrease of pressure rate and the decrease of pressure limit. In manual modi the user is able to regulate the decrease of pressure by him. The sensor which is fixed at the device is a very precise pressure sensor. By the use of the Leak Tightness Checking Device rates of leaks can be reduced. Consequently the possibility to save follow-up costs and efficiently work exists. 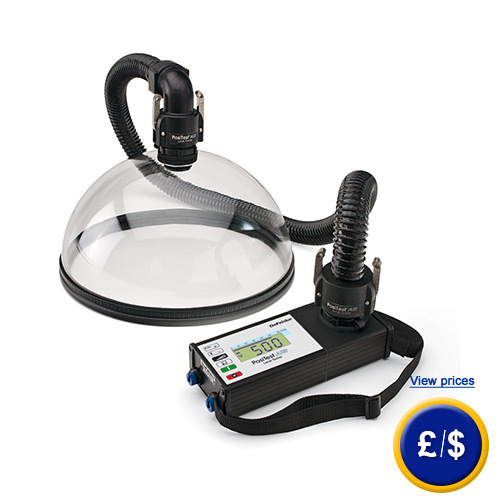 The Leak Tightness Checking Device can be used with battery as well as with mains operation. The sensor is surrounded by a packed test chamber which has a diameter of 40 cm. The Leak Tightness Checking Device is delivered with all pieces that are needful for a measurement, so it isn´t necessary to buy additional accessories. After receiving the device you can start with the measurement directly. If there are any questions about this Leak Tightness Checking Device, please have a look at the technical specification below or call: UK customers +44(0) 23 809 870 30 / US customers +1-410-387-7703.. Our engineers and technicians will gladly advise you regarding the Leak Tightness Checking Device or any other products in terms of regulation and control, or scales and balances of PCE Instruments. The complete delivery content of the Leak Tightness Checking Device PosiTest Air.